VRLY is Lincoln and Omaha’s premier VR scanning solution with over 500+ scanned spaces across Nebraska, Colorado, and Minnesota. Our scanners are friendly, courteous, and will treat your clients with the utmost professionalism through the entire process. At Matterport, photographers are some of our most important customers. Since we released the first Matterport camera in 2014, we’ve watched as enterprising people have taken risks and built businesses around this new medium. Together, we are working to make 3D the new standard for people to virtually share and explore spaces. Photographers in the Matterport Service Partner (MSP) program are key to this goal, as they extend the reach of 3D to a wider audience than we ever could alone. We want to honor our most successful MSPs, such as Tyler Irons of VRLY in Nebraska. In April of 2018, he scanned 75 spaces — that’s an amazing 3.5 spaces per business day. We sat down and chatted with him to hear his story and his tips to success. I was born and raised in Lincoln, Nebraska. After serving in the army, I started my own business. I’m a serial entrepreneur — I own three businesses, all of which are still going strong. Most of the time I manage my third business, VRLY (pronounced ‘VUR-lee’), which focuses exclusively on real estate photography. How did you start with Matterport? 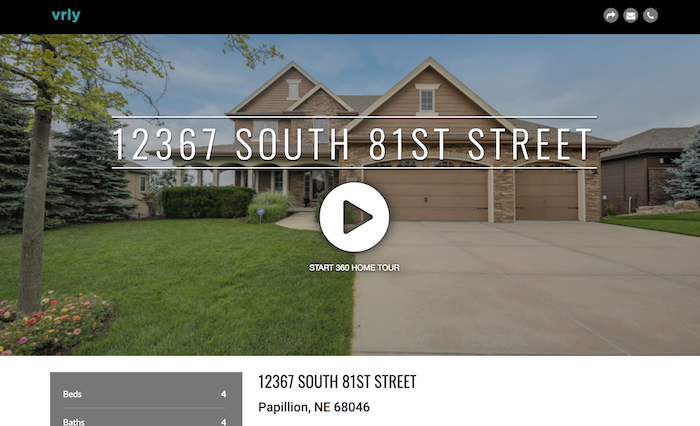 I learned about Matterport while doing a digital marketing project for Berkshire Hathaway in Omaha. 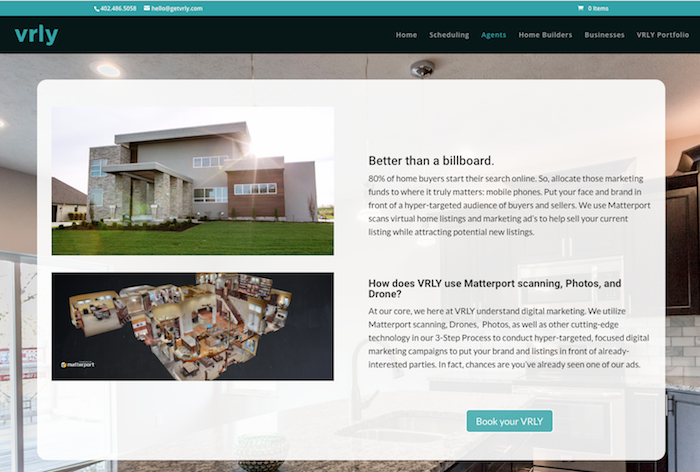 These guys wanted to market their properties differently, so I looked around online and that’s when I found Matterport. Back in 2016, Matterport was not as big as it was today. I’d say about half of all agents knew about it, but few actually used it back then. We knew it was a gamble when we ordered the camera. But after seeing the technology and what it could create, we had great faith and so we took the plunge. How successful have you been creating 3D spaces? We’ve had some challenges — it’s still a new technology with a learning curve for both us and our clients. But in the past year and a half, we’ve been very successful. In May 2018 we scanned 75 houses and we’re growing month-over-month. This past spring (2018) we’ve seen more peer pressure among our agent clientele. As soon as agents see their peers using it, there’s more pressure on them to use VRLY. In the future we’re expanding past Lincoln, NE to Kansas City and more states/markets in the US Midwest over the next 12 months. How did you reach such a high volume? For us, the key was to take this new technology and package it into a format people were already familiar with. In our experience, real estate agents are more familiar with old-school, traditional marketing such as flyers, print, and video. Agents like the interactive Matterport tour, but because it is a new technology, they don’t know how to monetize it. So we put Matterport into a format agents already knew well — video. We started by screen-recording the Matterport virtual tour. Next we combined it with aerial/drone photography, additional video, and of course the agent’s name and contact info. Realtors LOVED this custom video for each property. It also fit very well into their existing marketing budget and expectations. Once agents saw how Matterport fit into video, our growth just exploded. What’s your philosophy when talking to agents and brokers? VRLY is the marketing partner for real estate agents. Most agents are not marketing experts. No problem. We handle the marketing side for them. This frees up agents to do what they really love — develop relationships with home sellers and buyers. When you buy VRLY, you’re not paying for a specific deliverable. You’re paying for a full marketing package. Tools, methods, and channels may change over time, but VRLY will always be your real estate marketing provider. Furthermore, agents don’t want 5 different people to come and make certain deliverables. They want one person who can do it all in one photo shoot. VRLY is a one-stop shop for real estate marketing. If an agent calls us, they don’t have to do anything else for that property. We do everything they need — Matterport, aerial, photos, video, and single-property website — quickly and at a decent price. How big are you on efficiency and standardization? This is a HUGE part of VRLY’s success. We can offer low prices because our deliverables and processes are so standardized. Our primary offering is one low-priced, all-included marketing package. Honestly, it would slow us down if we offered a-la-carte deliverables or very custom/creative deliverables. Clients who really need those one or two special photos can hire someone else to get those. But that doesn’t happen very often. Furthermore, it is very important to us that VRLY offers the same great real estate marketing package and service to all of our clients — no matter whether they are big or small. It’s just the right thing to do. We built VRLY so it is a scalable model that can handle massive amounts of volume. We’re going to continue to scale because that’s how you become more successful and profitable in the long-term. Check out one of our sample single-property websites below. Which marketing channels have been most effective for you? We’ve found texting to be a very effective marketing channel to people already in our database. Agents spend almost all their time on their cell phones. Of course, you should reach them on the tool that they use the most. Honestly, I think that agents are the easiest people on earth to get a hold of. We’ll send massive text campaigns every 2 weeks across our database. This includes little bite-size content pieces such as “How do I add myself to Google My Business”. Not only do they help agents, but these also build VRLY’s brand as marketing experts. Our texts have like a 93% open rate, which amazed even me. At VRLY, we’ve also had success offering a free, one-time scanning package to timid clients. This is an easy way to get them into our database and start a long-term relationship on a good note. Tell me about the employees in your business. I have two capture teams and one backend team (total 10 staff members). Each capture team has a DSLR photographer, Matterport operator, and drone pilot. Each team can get it all done for one property in 60 to 90 minutes per property, 3 to 4 properties in one day. We try to be very efficient while still maintaining a high standard of quality. 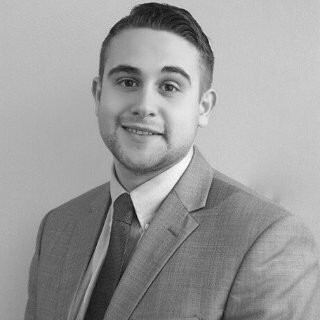 My job (Tyler) is less on the capture-side and more on developing relationships with the agents. I see myself more as the owner of a photography business rather than a true artist or photographer. What about agents who say “we don’t need Matterport’”? This is understandable, but I also feel like it is short-sighted. A house may have sold quickly, but did you get the most for it? You may have left some money on the table. Better marketing may have gotten more leads who would have paid more. Ultimately, VRLY’s job as your marketing partner is to get you more and better qualified leads. The final sales decision is still up to you, the agent. Finally, VRLY is really about helping you build your brand as an agent or broker. In a hot market, homes sell fast but this also means a lot of competition between agents and brokers. You really need VRLY and Matterport to set yourself apart. 3D is something that enhances your listing presentation. It’s a sign to home sellers that you are committed to selling this house, and to getting the most amount of value from it.